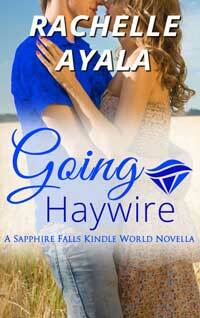 Rachelle Ayala Blog: It's Release Day! 13 all-new Sapphire Falls Kindle World stories hit the shelf today! It's Release Day! 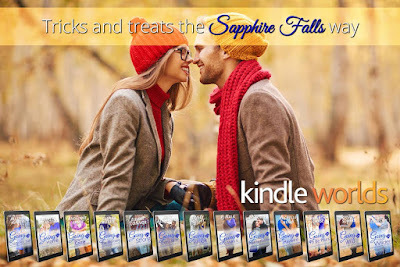 13 all-new Sapphire Falls Kindle World stories hit the shelf today! My contribution is Going Haywire, a zany second-chance love story full of tricks and TREATS. Giving up sugar right before Halloween. Brilliant. Going on vacation with an ex. Not so bright. 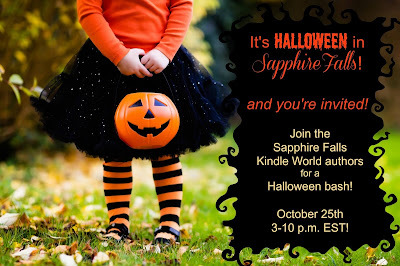 Honey and her ex-husband, Max, travel to Sapphire Falls to give their two young children the perfect Halloween treat. Max wants Honey back, and he’s counting on the magic of Sapphire Falls to seduce her into a second chance. Honey is leery of Max and his tricks, but when he woos her with a Halloween romance complete with bonfires, hayrides, parties, and paintball, Honey warms to the idea of a new beginning. Unfortunately, there's something off about Max that Honey can't put her finger on. When their vacation goes haywire, Honey must decide whether the treat of true love is worth all the terrible tricks life can play. Buy it today! [BUY LINK] and come to our Party Oct 25, 2016 3 - 10 pm Eastern Time. Meet and greet all 13 authors and win fabulous treats. Welcome to SAPPHIRE FALLS—a tiny Midwestern gem overflowing with small-town charm. Visitors are encouraged to enjoy happy hour at the Come Again bar, a tasty treat at Scott’s Sweets, a country-music-infused party at the river with a mason jar of legendary Booze, or even join in the fun at one of the annual town festivals, where the locals specialize in making you feel right at home. But fair warning: Love is always in the air, and visitors tend to fall quickly—for the town and its inhabitants. You may not be looking for happily ever after…but in Sapphire Falls, happily ever after might come looking for you. Because even vampires deserve a second chance. He can’t live with her, he can’t leave without her. Sometimes opposites don’t just attract, they collide. It’s been ten years since Jackson walked away from the only woman he ever loved. Maybe it’s time to get her back. Vampires, zombies, and wolves, oh my! Honey's vacation with her ex-husband goes haywire. when he tries too hard to get her back. Sometimes what your heart is searching for is never far from home. Ember Jones-Roseman needs a reminder that life is about the journey, not the destination, and Ford Slater is the perfect man for the job. Small town. Big hearts. But can one little secret tear it all apart? They’ve been in an intimate relationship for three years, they’ve just never met. Love at first sight, or a past they don’t remember? In the security business things can happen fast – the same is true in the business of love.